My Day 25 pick for 31 Days of Halloween is a unique ghost story that would be great for those who don’t typically love horror: The Others. It’s creepy without being truly scary, and it has a fantastic ending! This movie stars Nicole Kidman and is a fascinating ghost story. There’s so much about family and motherhood in this film, and Kidman does a great job at being the overbearing matriarch who still elicits sympathy. Like I mentioned earlier, this movie is worth watching just for the fantastic ending. It’s a really unique twist on the haunted house genre. For Day 24 of 31 Days of Halloween, I have selected another movie based off of a video game: Resident Evil. As you may have noticed from this list, I don’t really find zombies very interesting. This is my one big exception! I am obsessed with this franchise. I own all 6 films, and I’ve seen them multiple times. While these are zombie movies, I find them interesting because the zombies are not the villains per se. Rather, the organization controlling the zombie apocalypse is the main antagonist. Also, these films are packed with nonstop action from start to finish, and Milla Jovovich is PERFECTION as the main character. If you’re more into action than atmospheric horror with jump scares, then I think you’ll love this one! I have never really been into video games, but I seem to really enjoy horror movies that are based off of them. One of the best is definitely Silent Hill, which is my pick for Day 23 of 31 Days of Halloween. This movie definitely wins the award for most interesting monsters. The creatures in Silent Hill are terrifying but fascinating in their construction. Also, I just love the backstory for this place and the explanations for why everything is the way that it is. 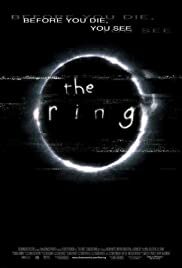 Visually, this is one of the best horror movies. (My favorite scene is the one with the nurses). I just don’t care what the critics say – this is one of my favorite movies! I’ve seen it so many times and it just doesn’t get old. For Day 22 of 31 Days of Halloween, I have picked The Ring because it was a formative part of my childhood. This movie came out when I was in grade school, and it was one of the first real horror movies I got to see. I loved it, and I loved that it didn’t scare me as much as it scared my friends. Some personal backstory… I had a friend who was terrified of this movie. One day, she didn’t quite close her locker all the way, so after she left, I opened her locker and wrote “Seven Days” on the little whiteboard she kept inside. She was thoroughly terrorized, and that might actually have been the meanest thing I’ve done in my life. But moving on to the movie, this is a really interesting one! Visually, it’s unsettling to watch the entirety of the montage on the mysterious videotape. But also, the story here is really great and you get to fully understand what has caused this malevolent force to have emerged in this way. Overall, it’s a really well-done concept and a very cool horror movie that isn’t very graphic, so it’s perfect for beginners! I think that anthology horror movies are underrated. While I love full-length tales that deliver a broader story, sometimes horror works best in the concept stages. Short horror vignettes can often deliver genuine scares, and that’s why I’ve picked V/H/S as my Day 21 pick for 31 Days of Halloween. As the characters in the movie play the VHS tape that they obtain, you get to see short horror films that are on the tape. 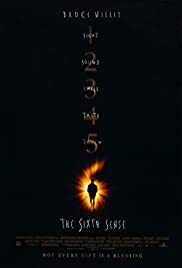 While there is a larger narrative structure, to me the most interesting part of this movie is seeing the vignettes on the tape (each of which were written/directed by a different horror filmmaker). It’s so cool to see the different styles of short film. The role of motherhood in horror movies is an interest concept to unpack. Often, motherly characters are portrayed as paragons of virtue. Sometimes their love is undying. 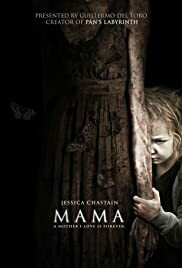 One interesting take on how maternal feelings can surpass the grave is the movie Mama, my Day 20 pick for 31 Days of Halloween. This is an interesting movie with an ending I really didn’t expect. There’s so much about the choice of motherhood and what that truly entails. It’s also hauntingly beautiful in parts due to its cinematography. Visually, this is a stunning movie, and it’s one that is more focused on telling a story than it is delivering scares.